A number of ongoing emergencies all came to a head over this last year with the underlying political causes of these many crises remaining unresolved. We saw the defeat of opposition-held areas in Aleppo in Syria, the fight for control of Mosul in Iraq and the increasing risk of catastrophic hunger in Yemen. The conflicts at the roots of all these emergencies are years old but reached new depths of suffering in 2016-17. Across the Middle East – in Iraq, Syria, Yemen and Lebanon - more than 45 million people were in dire humanitarian need. In Yemen, serious food shortage threatened lives of more than 17 million people and almost half a million children under five were suffering from acute malnutrition. In Syria, more than 14 million people had no access to safe drinking water and toilets. In Iraq, 10 million people were in need of humanitarian aid. Protracted conflicts and climate change elsewhere meant that millions more were in need. In February 2017, the world stood on the brink of an unprecedented four famines due to the catastrophic failure of the global community to uphold its obligations to the most vulnerable of people. A total of 30 million people were in urgent need of food: brutal conflicts in Nigeria, South Sudan and Yemen drove millions of people from their homes and left millions more in need of emergency food. Donor countries failed to adequately support efforts to resolve these conflicts and, in Yemen, actually fueled the conflict through arms sales. While in Somalia - as well as parts of Ethiopia and Kenya - persistent drought caused crops to fail and cattle to die, causing severe food and water shortages. Disasters triggered by natural hazards also featured with the Ecuadorean earthquake, Hurricane Matthew in the Caribbean and Typhoon Nock-Ten in the Philippines. In all these crises, whatever the root cause, the poorest people were always hardest hit – and women were particularly vulnerable, with fewer resources to face and recover from emergencies. At the center of Oxfam's humanitarian work was the promotion of gender equality and women’s rights - as well as the safe and accessible use of our humanitarian programs by women and girls. Our humanitarian work would not be possible without the expert knowledge of local organizations that we are privileged to call our partners. Establishing collaborative relationships – before, during and after and emergencies – puts our country-based teams in the best possible place to help communities to prepare for and respond quickly in the event of a disaster. However, the magnitude of human suffering in the world today requires – and will continue to necessitate – interventions far greater than local or international aid agencies can ever expect to deliver. 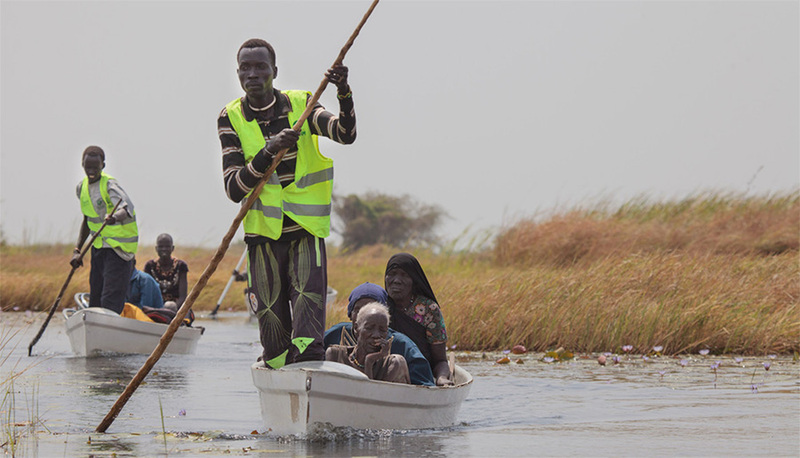 Governments around the world must dig deep and find the resources and political will to save lives and secure long-term solutions to the root causes of conflict and climate-related emergencies.